When a hurricane strikes, it’s not just high winds and rain that can cause life-changing damage to your home and your community. According to the National Oceanic and Atmospheric Association (NOAA) National Hurricane Center, dangerous storm surge and inland flooding present the most risk for residents in high-risk areas and the lower-risk areas surrounding them. In 2017, Hurricane Harvey caused more than $125 billion in damages, making it the costliest natural disaster since Hurricane Katrina. Flooding caused by more than 60 inches of rain contributed to a significant amount of this damage, a story that has almost become the new normal when it comes to today’s mega storms. While many may consider Harvey a 100 or 500-year flood, the reality is that storms of this magnitude are happening more often, which means you need to be prepared. Make sure you, your family and your home are ready for hurricane season with this hurricane readiness guide from Wright Flood insurance experts. Make sure your family is covered in the event of a flooding event. According to a March 2018 Milliman report to A.M. Best titled, “The Rising Private Flood Insurance Market,” more than 60 percent of property owners faced uninsured flood losses during recent catastrophes. Remember, flood insurance takes 30 days to become effective, so act quickly to ensure you’re covered during hurricane season. Have a plan to get there in the event of evacuation. Knowing where to go in an emergency is just as important as knowing when to leave. That includes designating a windowless interior room at the lowest level possible as shelter in place location for your family. This will ensure you’re able to quickly retrieve them once the worst is over and save you the time and hassle of replacing them. Elevate your home and/or exterior HVAC units to lower flood risk. Clear debris from gutters and landscape the property to ensure there are no hanging tree limbs that may cause damage. Catalog your belongings on video or through images and transfer to the cloud. Designate a place to move your car and outdoor decorations or furniture that may come off the ground during hurricane force winds. Install permanent storm shutters/hurricane windows or prepare 5/8″ exterior plywood to cover all windows in advance of a storm. Ensure you have everything you’ll need to weather the storm and its aftermath. Make sure everyone understands their roles, knows where to go, and knows how to contact one another in an emergency. Do so around 36 hours or more before the hurricane comes to avoid lines and/or gas shortages. If possible, fill up an approved handheld gas container so you have extra fuel on hand. Take the time to load up the car with any emergency supplies and personal items you will need if you are asked to evacuate. Designate an area and anchor down any items that will remain outdoors. Make sure to do so 18-36 hours in advance. This will help in case you lose power. Stay put until emergency channels give the all clear. As you may be trapped by rising waters in the event of a flood. Keep them away from windows. As little as six inches of rapidly-moving water can knock you down and one-foot is enough to sweep your vehicle away. If you’ve evacuated, do not return to your home until authorities have given you the go-ahead. If you sheltered in place, listen to local emergency channels to find out when it is safe to go outdoors. Even though the storm is over, it still is not safe to enter moving or standing flood waters. Oftentimes, these waters can contain dangerous debris, sewage, glass, gasoline, and even downed active power lines. If it’s wet, don’t turn it on. If you’re standing in water, don’t turn it on. Read our easy-to-follow guide to file a flood claim and stay in touch with your adjusters throughout the process. If possible, take photos of all damage caused by flooding for your flood claims adjuster. If soft, cut holes at base level to facilitate drying. If A/C unit does not operate, contact HVAC technician for repair and evaluation. Hurricanes may change direction and/or bring extended rains and flooding to your community. Now is the time to start preparing for the worst. 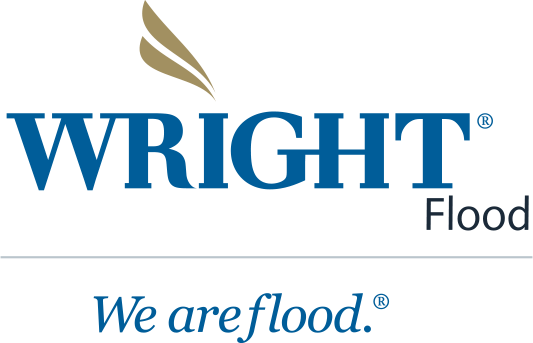 If you need flood insurance or want to make sure your policy is up to date, call your agent or Wright Flood at (866) 373-5663 or visit Wright Flood Insurance today.